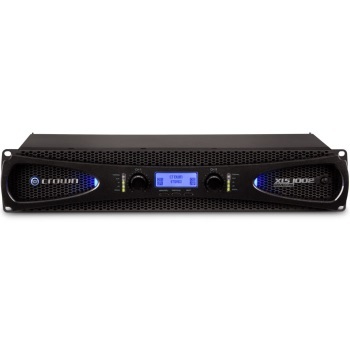 The Crown XLS next generation DriveCore 2 series amplifier is the next step in Class D amplification featuring Crown's ultra efficient DriveCore technolgy. A sleek new look with a larger LCD display, extended DSP functionality, display sleep mode, security settings, and remote power trigger, just to name a few. Onboard Peakx Limiters provide maximum output while protecting your loudspeakers. All this and more at an amazing 11 lbs! The Crown XLS DriveCore 2 power amplifiers are great for anyone shopping for reliable power on a budget!